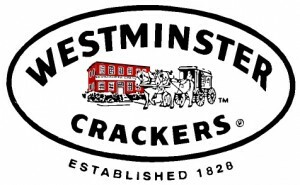 Not so many years after the American Revolution, at the hearth of a colonial house in Westminster, Massachusetts, their first Master Baker pulled a batch of warm crackers from the oven, and a New England tradition was born. Back then, the bakery’s power came from a horse and treadmill; dough was mixed and rolled by hand, then individually stamped into crackers and baked in a wood-fired brick oven. Neighbors and passers-by delighted in the fresh-baked, hearty goodness of these breads and crackers. Times have changed, but at Westminster Bakers, they haven’t. Leastways, not insofar as things that matter. The treadmill is gone, and the ovens aren’t wood-fired any longer, but they still take the time and effort to bake the crackers right. They stick with the same basic, wholesome ingredients that their first Master Baker used nearly 200 years ago…ingredients that everyone can pronounce. The “bake” is still long and slow, for crackers that are simply delicious. So the more things change, the less Westminster Bakers changes. There’ve been only a handful of Master Bakers since that first batch emerged – to the delight of all who tasted it – and each Master has remained true to the Westminster way of doing things. They’re still in New England. And they’re still stubbornly dedicated to the time-honored craft of baking… their way… the right way… the Westminster way. © 2015 Vermont Roots, Inc. All rights reserved. Prices subject to change. Product availability not guaranteed. Terms and conditions apply.